The team has worked together for several years, so we are not only co-workers, we are also friends. Having honed our skills together over a number of years, we have developed efficient and effective working methods, using the most modern techniques and knowledge in Arboriculture. 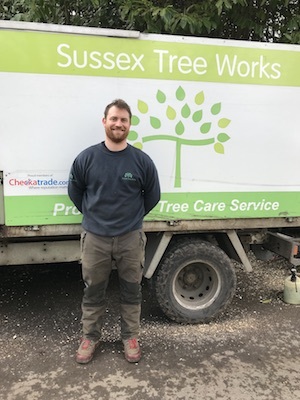 James is a very experienced tree surgeon having been in the industry for many years. James likes to build things. Recent projects have included designing and making specialist tools for tree planting, jewellery using wood from his work and the restoration of a motorbike. He also has a love of mountain biking and spends a lot of his spare time riding throughout the UK and Europe. 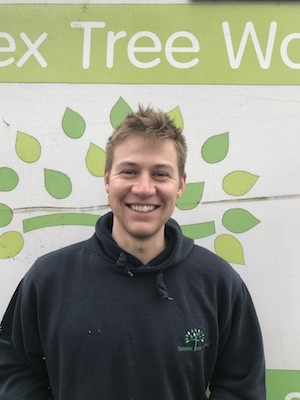 Will is the youngest member of our team but has been a tree surgeon since he left college, where he studied for an extended Diploma in Forestry and Arboriculture. 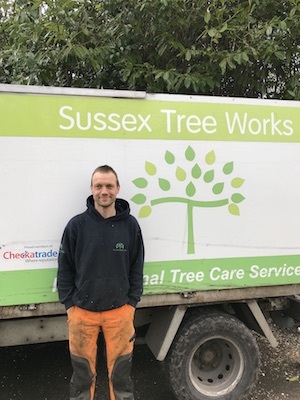 Will is currently studying for further qualifications in arboriculture when he isn’t working. Will grew up on the family farm in West Sussex and has recently finished building his first house with the help of his father. 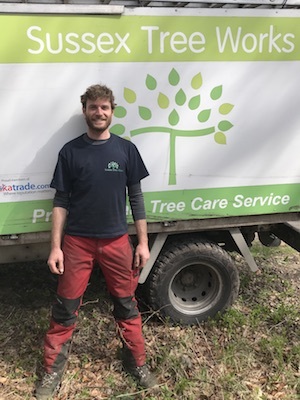 Adam obtained a Degree in Forestry and then began working as a tree surgeon. Aside from tree surgery, Adam is a keen traveller and has recently spent some time in India. He also uses ‘bone oak’, a particularly old and characterful type of oak, to create sculptures. Linka is a Hungarian Wirehaired Viszla. She is 5 years old and has been a valued member of the team since she was a puppy! Floyd is a 5 year old Lurcher and was a rescue. He and Linka are the best of friends and very much enjoy being part of the team. 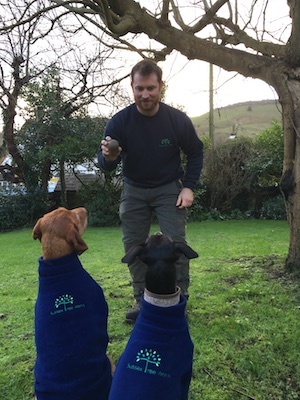 If you would prefer Linka and Floyd not to attend when we undertake your work, simply let us know beforehand.